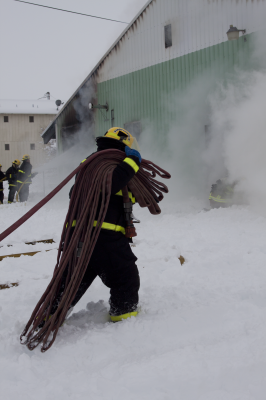 Thinking about becoming a firefighter? Rural 7 is always looking for volunteers to join the team. Please download the application and email to [email protected] or drop it off at Station 1, 327 W Brooks St in Goldendale. Rural 7 has between 120 to 130 volunteers. Rural 7 is very thankful for all of the volunteers hard work and time they give to the department. Rural 7 has 11 fire stations in the district. Rural 7 has a total of 37 fire apparatus. 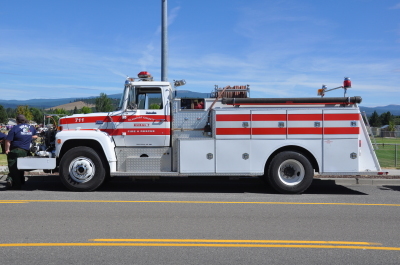 On March 16, 1959 Rural 7 Fire Department filed with Klickitat County as Fire Protection District 7. The department started with appoximately 25 members. Jack Blinn was the first to serve as the Fire Chief for the department. Also serving was Assistant Chief Eldon McKune and Commissioners Irvin Robison, Ronald Roe, and Raliegh Largent. The equipment obtained by Rural 7 consisted of only 5 trucks at the time but was sufficient to do the job. Equipment included: 1 used 1938 Dodge 4x4 brush truck, 1 used 1942 International 4x4 brush truck and 3 1958 Jeep Willy cab over 4x4's. We still have one of these Jeeps at our main hall today which is used for parades and special events. 1959 Wily FC70 Jeep purchased by the fire department in 1958 new. This jeep was used to fight fire. It is now used by the district for parades.